Hosanna’s Sunshine Discovery Center is opening Fall of 2019 and will be the second Forest Lake location to partner with Lake Area Discovery Center (LADC). The new expanded programming will include flexible schedule options for INFANTS starting at 6 weeks and including toddlers 16 months old to pre-kindergarten preschoolers. The program will build on the strong 30+ year history of Sunshine Preschool by adding extended/wrap-around care, full-time schedule options and accreditation/ quality ratings. Infant Classes for 6 weeks – 15 months; full-time, year round schedules available. Explorer Classes: Toddler programs for 16-20 months and 21-34 months old; part and full-time customized schedules available. Discovery Class: Preschool for 3 and 4 year-olds; part and full-time customized schedules available. 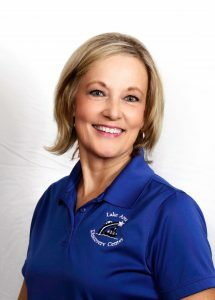 Janet Miller is the Executive Director and founder of Lake Area Discovery Center. Janet will oversee and direct the Teaching Team at Hosanna as the new program is built. Janet graduated with a B.A. in Early Childhood Education from Minnesota State University and is a licensed Parent Educator. She has been working in the field of Early Childhood for over 35 years and is active in promoting early childhood education at the state legislative level.